alaTest has collected and analyzed 74 reviews of Panasonic HC-WX970. The average rating for this product is 4.3/5, compared to an average rating of 4.0/5 for other Camcorders for all reviews. Reviewers really like the connectivity and image quality. The price and portability are also mentioned favorably. Many are critical about the battery and viewfinder. We analyzed user and expert ratings, product age and more factors. 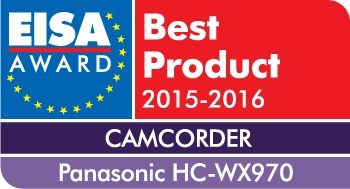 Compared to other Camcorders the Panasonic HC-WX970 is awarded an overall alaScore™ of 92/100 = Excellent quality. alaTest has collected and analyzed 1 user review of Panasonic HC-WX970 from Amazon.co.uk. The average user rating for this product is 5.0/5, compared to an average user rating of 4.0/5 for other Camcorders on Amazon.co.uk. Reviewers are impressed by the usability and portability. alaTest has collected and analyzed 39 user reviews of Panasonic HC-WX970 from Amazon.com. The average user rating for this product is 4.4/5, compared to an average user rating of 3.9/5 for other Camcorders on Amazon.com. People really like the price. The portability also gets good feedback, whereas there are some negative opinions about the usability. Leica Dicomar lens, 20x optical zoom and Panasonic's 5-Axis Hybrid O.I.S.+ optical image stabilisation as well as other functions including HDR movie mode and the rather odd Twin Camera. The Panasonic HC-WX970 is a great high-end option for 'prosumer' 4K early adopters, with comprehensive features and great image quality. It is smaller than I thought, but I have very small hands, so it is perfect for me. Still getting used to the many features - will take me awhile, but so far everything works as it should. Work great! exactly as describe. BH Photo very helpful over the tel before online purchase. The camcorder is easy to use. Wish it had a view finder. Does a excellent job in low light.